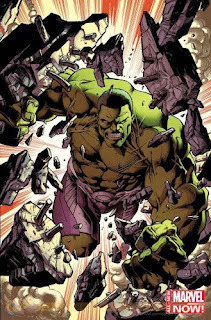 As part of Marvel’s second phase of its “Marvel NOW!” initiative, the publisher is launching an all-new iteration of the Green Goliath with April’s adjective-less Hulk #1. Writer Mark Waid returns after writing the previous run of the character, while the previous series, The Indestructible Hulk, will end its run with March’s issue #20. This new series will be a follow up to Waid’s run with artists Leinil Francis Yu and Walter Simonson, among others, which was one of the most celebrated runs in the character’s recent history. This time, Waid will be joined by artist Mark Bagley, best known for his one hundred-plus issue run with Brian Bendis on Ultimate Spider-Man. In the previous run of the book, Bruce Banner made a deal with S.H.I.E.L.D. in which the agency promised to help fund his experiments, and in turn, they would aim his angrier alter-ego at the appropriate bad guys whenever he showed his ugly face. Banner was now the strongest and smartest weapon on the planet. It was a win-win situation for all involved, but how long does something good and mutually beneficial like that last in comics? Speaking with Comic Book Resources about the new series, Waid said, “perhaps (Banner’s) motives for re-engaging his scientific mind weren’t the purest. How much of his rededication has to do with genuinely wanting to help the world — and how much has to do with his own ego? 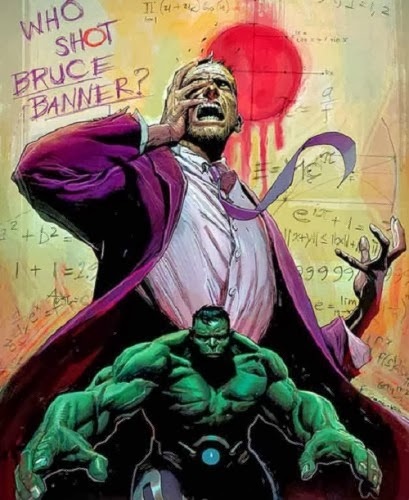 There’s a real comeuppance for Bruce in issue #20 and it sets the stage for the new launch.” Waid also hints that we can see Bruce Banner and the Hulk split into two separate individuals once again, as he has several times in the past; “Banner and Hulk will be divided in a way we’ve never seen before on a long-term basis, and those who are eager to see the Hulk once more be his ‘own’ character will be very pleased, I think.” The Hulk has been drawn several ways too over the decades, and artist Mark Bagley is looking to incorporate some of them into his version of the big guy. “Yeah, there’s the dumb, savage Hulk. There’s the articulate Hulk. There’s the Joe Fixit type, and this is a real specific iteration face-wise. From the way I’m reading things he’s sort of leashed to a certain degree, but he’s enough aware of what’s going on that he’s very close to getting out of control. Basically he’s a huge guy on steroids in the room and you don’t know when something’s explosive going to happen.” The cover for the new first issue teases “Who Shot Bruce Banner?,” but somehow, I think this new series will be about more than the big guy taking a bullet. We’ll find out in April when Hulk #1 hits the stands.